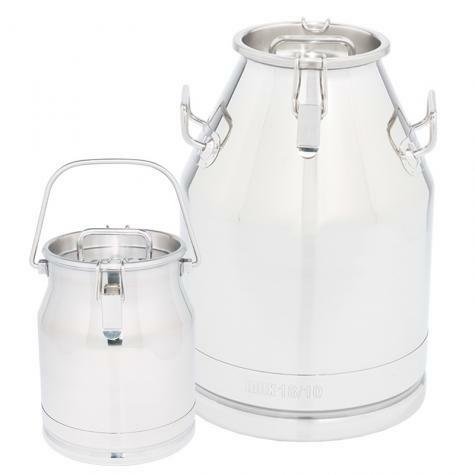 Stainless steel cans for the the short term storage and transport of milk. 10 or 30 liter options. Rubber gasket in the lid for a proper seal. 10 liter cans have a bail carrying handle. Has two latches on either side of the lid to hold it in place. Heavy duty latches for a secure seal. No spilled milk. Quickly separates whole milk into cream and milk. 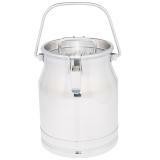 Perfect for at-home or semi-professional dairies for producing value-added milk products. 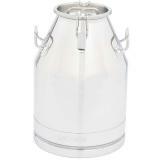 A hand-powered cream separator for separating whole milk into cream and milk. Throughput of about 22 gallons an hour. Processes up to 23 gallons an hour. Perfect for home-raised milk or semi-professional dairies for producing value added products. Double boiler system automatically heats milk for preset time and temperature. Can use to make yogurt or soft cheese. If you have dairy goats, you know that milking can sometimes be a challenge. So we’ve introduced a milking headpiece that fits neatly onto our trimming stand to securely hold nannies at a comfortable height. Couldn't have asked for better in all regards. Service (5+ Stars). Quality (5+ Stars). I had a feeling I was making the right choice and I was not disappointed the least. Purchased the Stainless Steel 2.64 Gal. Milk Cans.